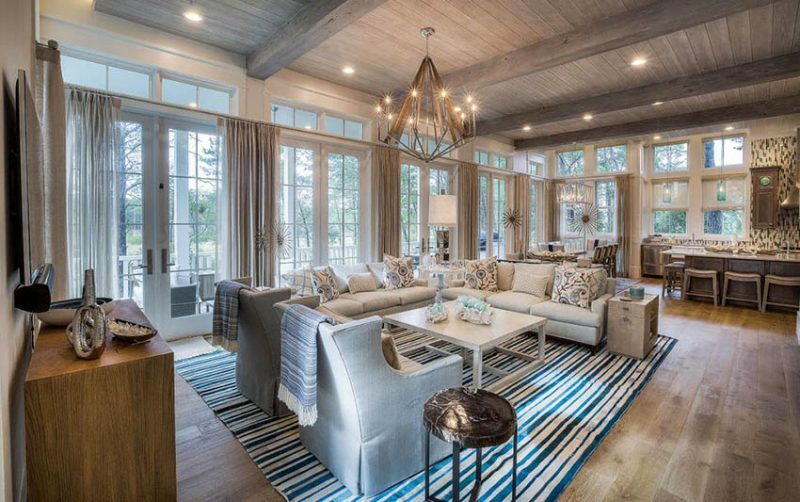 Here we share rustic themed living room ideas including decor, finishes and furniture to help you create a design you’ll love. Rustic is hot right now, and judging by how long it has been hot, Rustic is here to stay. At first glance, rustic might remind you a bit of country or shabby chic, but the fact is that rustic can also be modern, eclectic, and international. One of my favorite things about rustic décor is that it is easy to DIY, a great way to reuse and recycle, and brings a bit of the soothing quality of nature indoors. You can spend a lot of money creating a rustic living room, but you don’t have to! Here are some ideas to get you started on your rustic remodel. Considering a rustic redo but you have more modern tastes? Rustic doesn’t have to mean shabby chic, country, or cluttered. At the heart of the movement, it is all about natural elements, soothing colors, simple accessories, and making do with what you have. An effective way to get a authentic rustic vibe in your living room is to bring in touches of wood. 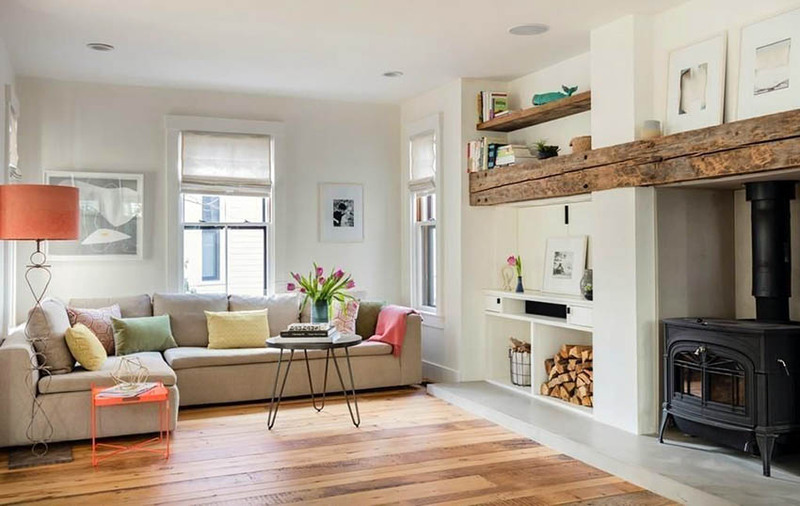 Removing carpet and laying hardwood floor, installing faux wood beams across the ceiling, or installing a rough hewn plank mantle are a few options you can use. Adding wood elements doesn’t have to be too costly either. There are a variety of manufacturers who provide polyurethane faux wood planks that look remarkably like the real thing for a fraction of the cost. A good choice for draperies is raw, unbleached linen, they will flow nicely and bring a quality of airiness to the room. For your artwork, chose a mixture of modern flat frames and repurposed wood frames. Houseplants potted in straight-sided ceramic pots compliment and contrast well with an old metal washtub filled with firewood or blankets. 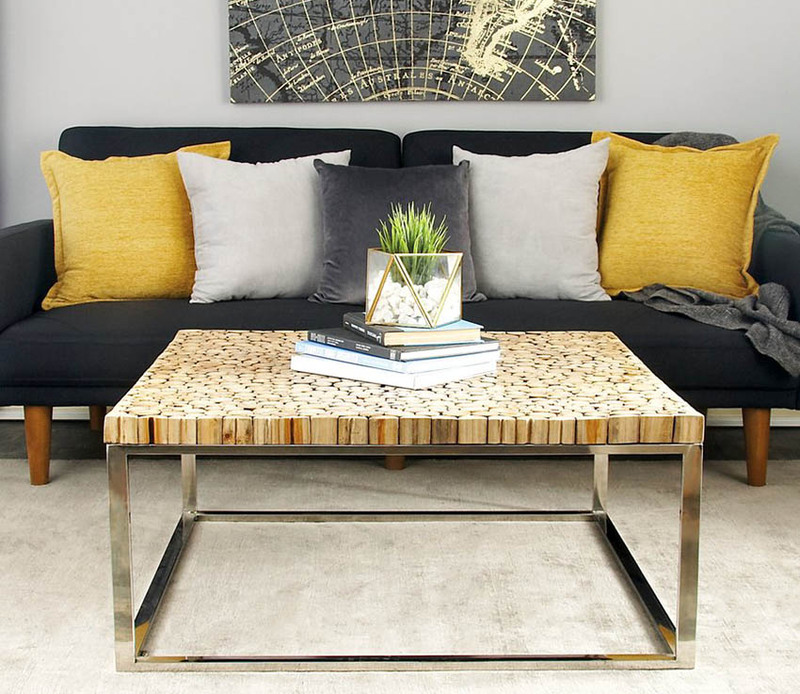 Keep the rest of your accessories simple, allow the space to remain uncluttered, and your rustic elements will shine without becoming overwhelming and drowning out your modern sensibilities. If you are ready to go full-blown rustic lodge in the mountains, be prepared to bring the outdoors in! Face your fireplace in natural stacked stone, you can get great looking stacked stone veneer panels, saving you a ton of time and money. 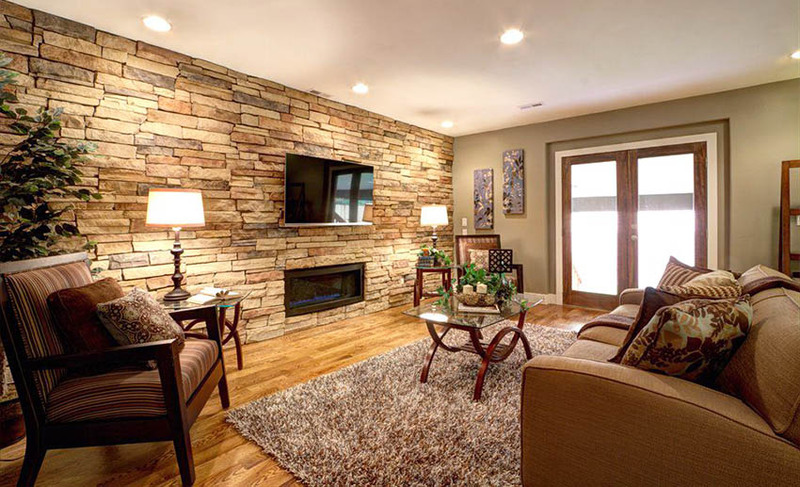 You can also use this design element by creating a stacked stone accent wall and using it as a backdrop for your flat screen television. 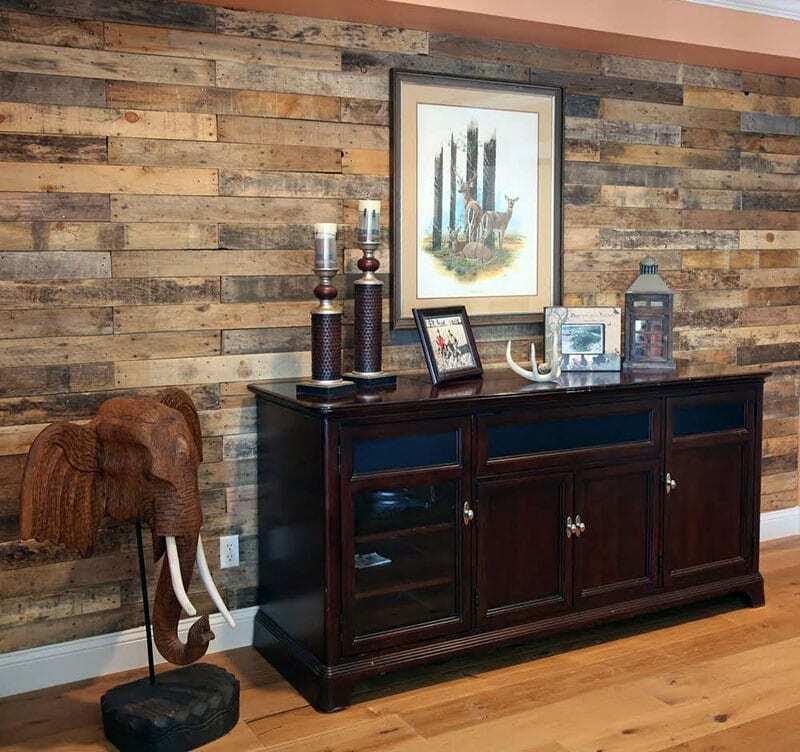 Another great, big, bold way to bring rustic style to your space is to install an accent wall made from old pallets. This can be inexpensive if you can score the pallets for free, but it is time-intensive and takes a little bit of math so be sure to plan accordingly. For a rustic farmhouse style vibe you can use distressed wood wall panels and beams to create an attractive design. 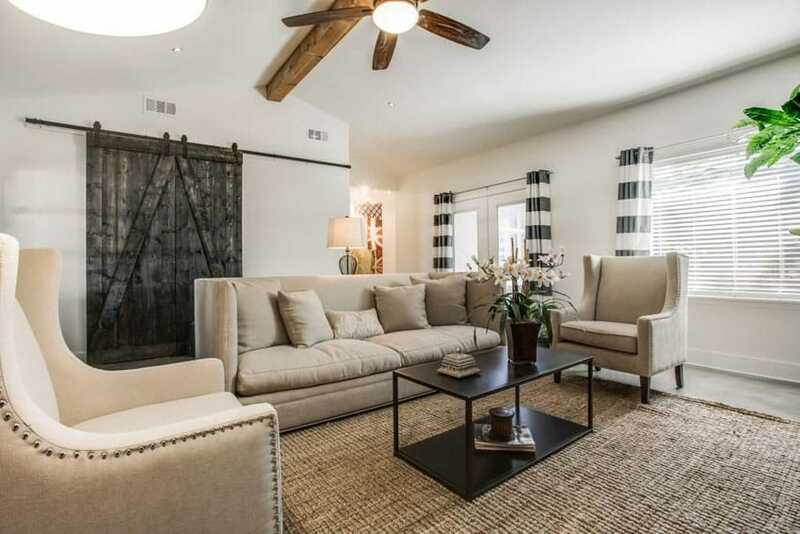 Installing sliding barn doors in you living room is a great way to give it a rustic touch. These types of sliding doors go with a variety of furniture and decor, allowing you to get the look you want to match your personal style. 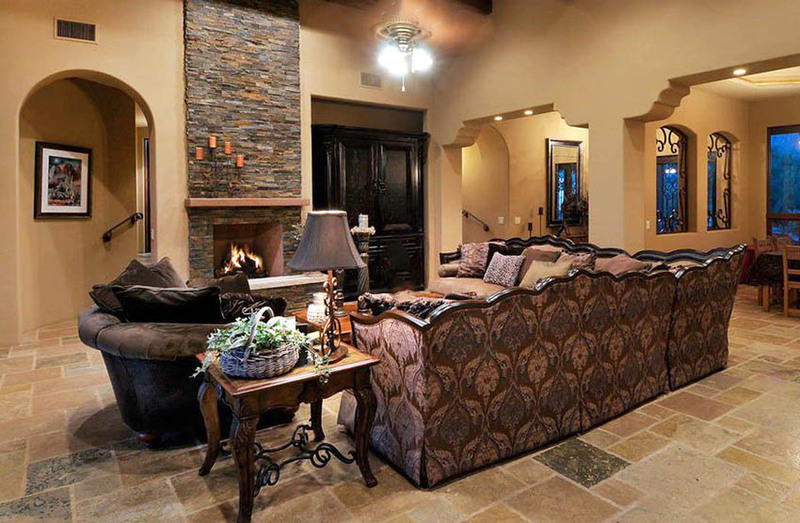 Once you have your fireplace or accent wall done, you can move to the rest of the room. 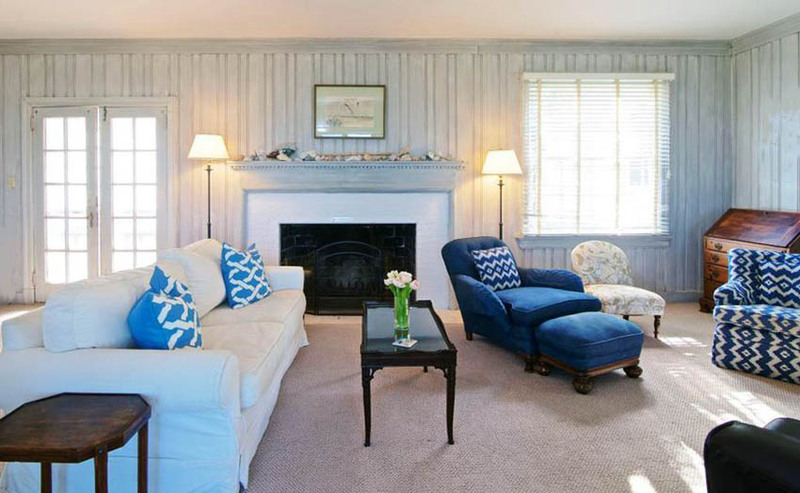 A simple, classic sofa covered in an easy-wearing canvas or denim works great here. They come in a huge range of colors, but a light blue is timeless here. 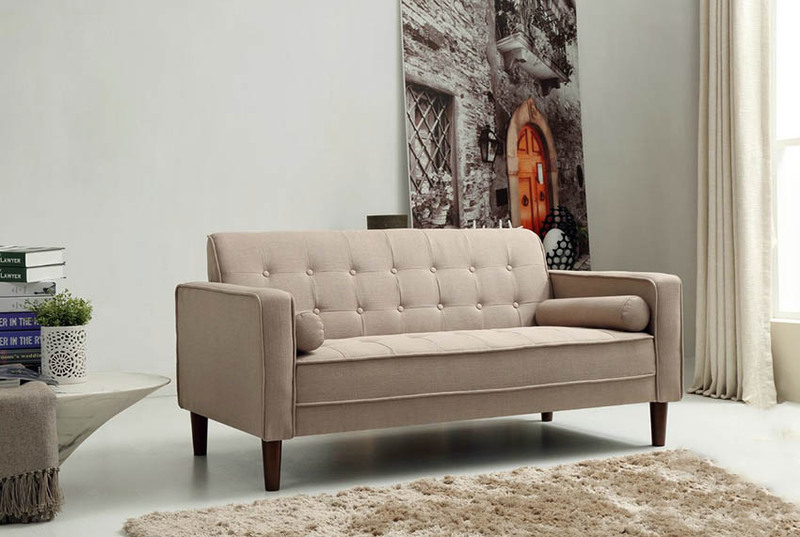 Take the Isaac Sofa on Wayfair, it has the light, soothing tones so popular in rustic design, wood legs, and modern, clean lines. Pair it with a reclaimed teak coffee table topped with a grouping of iron and glass candle lanterns, a natural fiber rug, and repurpose a potting bench into a sofa table or credenza to bring in the antique element. Add an old leather chair with a great patina and a metal-frame, wood-topped coffee table, a round side table topped with a vase full of fresh wildflowers, and you have the perfect base layer. A large, antique fisherman’s basket full of handmade quilts for chilly nights is the cherry on top! Vintage Rustic is often overlooked, and that is a shame because it is one of the most charming rustic styles there is! And one of the most economical. Dig through Grandma’s garage and find that old metal patio set, if the chairs are in good condition, you can toss a beautiful new seat cushion on one and use it as a side chair in your living room. If the paint is flaking, give it a light sanding, just enough to remove what is loose, and seal it to keep the rest of the paint intact. It is a rustic, vintage, unexpected touch and super easy on the wallet. A mid-century sofa upholstered in a simple, solid-colored wool or linen keeps it from getting too shabby but keeps the vintage elements. Going back to rustic, scour garage sales for vintage side tables, scuff them up, give them a coat of milk paint, and top them with simple clear glass lamps. A braided or rag work is a triple threat in that it is vintage, rustic, and affordable. If you are lucky enough to find old milk glass drinking glasses, grab a couple of larger ones and use them to hold fresh flowers. Rustic is a great aesthetic, budget-friendly, flexible, and easy to achieve. Look to antiques, simple wood furnishings, and natural accessories to add rustic touches to your décor. Seasonal décor is also popular in Rustic homes, so pay attention to the types of flowers and plants that are in season and bring them indoors.